The words ‘chaotic’, ‘intimidating’, ‘historic’ and ‘vibrant’ can throw a first time traveller to Delhi in a tizzy. In this blog, we break down the enigma and the nervousness around the capital city of India, and give you a list of essential experiences that will orient you to the city immediately. We have hand picked some of the best experiences from genres of local food, culture, history and shopping to give you a snapshot of Delhi. 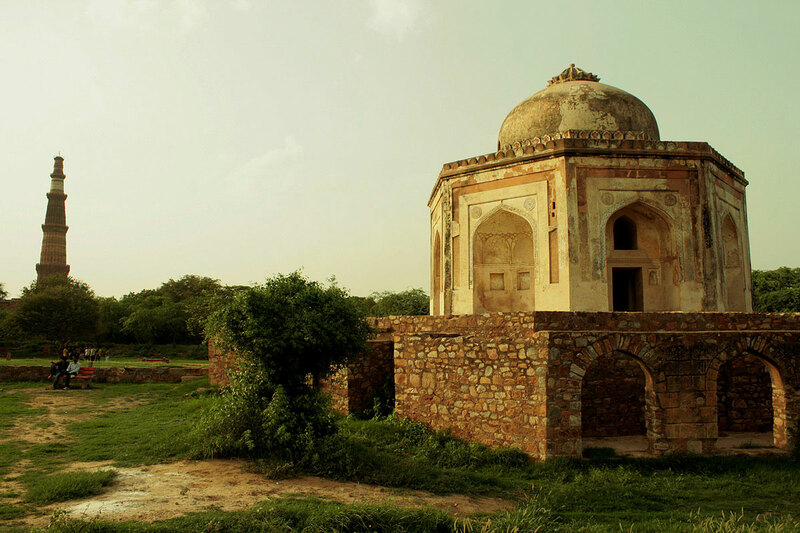 Spread over 200 acres, the Mehrauli Archeological Park is home to over 100 historically significant monuments. The area is a vignette of the city from 1000 years ago. It bears an imprint of centuries of rule by the Khilji dynasty, Tughlaq dynasty, Lodhi dynasty of Delhi Sultanate, Mughal Empire, and even the British rule. A walk through the park is a concise history lesson about the hands that shaped the Delhi that we see now. While the park is a one-stop destination for a quick look-see into many centuries of India, a trip to Humayun’s tomb, Safdarjung’s tomb, Hauz Khas and other areas is imperative. Chandni Chowk in Old Delhi quarters is the undeniable hot spot for local food. Think chaats, paranthas, dahi bhallas, kebabs and a host of other gastronomic delights that do not make a hole in the pocket. Besides, one gets to see life in the old city at close proximity. Much slower than the fast paced vibe of the new areas, Chandni Chowk keeps its charm intact by pulling the breaks on rushing through sight seeing. Top up the day with a warm cup of hot sweet tea. Delhi is the hot spot for the culture-loving traveller. Whether it’s theatre, art, music or dance, the city has ample to offer. A number of classic and new theatres host plays in multiple languages. Usually a reflection of the socio-political fabric of the nation, it is a great way to understand the subtleties of the country. Look out for events in Kamani and Odd Bird Theatre. In the same way, music is a large part of the city, with signature Indian classical music, jazz, blues and Bollywood haunts dotting the city. The one experience that must make it to your list is listening to the weekly quawwalis at Nizammudin Dargah. For those who want to take a piece of India home, there is no better place than the row of State Emporiums at Baba Kharak Singh Marg in the middle of the city. Here, you can virtually travel to all the different states through the curios, carpets, handicraft and weaves by stepping into the different shops. Close by, Janpath is one of the biggest flea markets of the city, where you can pick junk jewellery and hip western clothes at throw away prices.